Looking for a great travel rewards card with tons of perks? If you’re a frequent traveler, the Chase Sapphire Reserve Card may be the best rewards card available. Even better, the Chase Sapphire Reserve offers a massive signup bonus for those who meet the minimum spending requirements. The card also provides a whole host of fantastic benefits and credits that frequent travelers will love. On the flip side, it also comes with a pretty hefty annual fee, so it’s definitely not the right rewards card for everybody. In this Chase Sapphire Reserve review, we’ll explore whether the card’s benefits outweigh the fees for your particular situation. Let’s take a closer look! $300 Annual Travel Credit: This is one of my favorite benefits of the card. Each year, you’ll get a $300 statement credit toward travel purchases on your card. The benefit renews every year on your cardmember anniversary. 3X Points on Travel & Dining – Get 3X points on travel after the $300 credit has been earned. You’ll always get 3X points on restaurant spending while receiving 1X points on everything else. 50% More Value Through Chase Portal: As a Chase Sapphire Reserve Card holder, your points will stretch 50% further when redeeming them through the Chase portal. Free Airport Lounge Access: You’ll receive a free Priority Pass™ Select membership, giving you access to more than 1,000 airport lounges throughout the world. $100 Credit Toward Global Entry or TSA Pre√: This card offers a $100 credit toward enrollment fees for Global Entry and TSA Pre√. Just pay the fee with your card to receive the reimbursement. 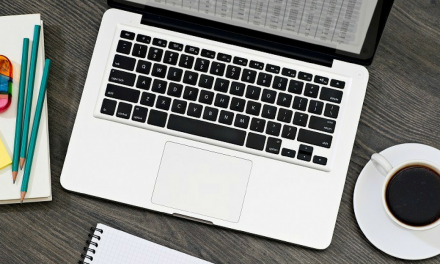 No Blackout Dates or Restrictions: When booking travel through the Chase portal, there are no blackout dates or restrictions for using your points. 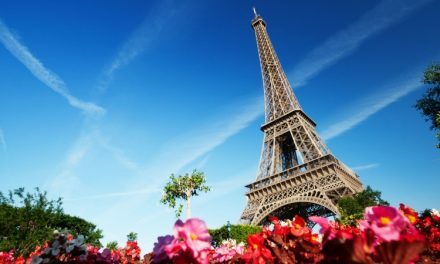 No Foreign Transaction Fees: Like with any decent travel card, the card does not charge foreign transaction fees. As you can see, this card has some massive benefits – especially if you love to travel. Although it doesn’t come free, frequent travelers should get more than enough use from the card to justify the annual fee. As somebody who travels about once a month, I absolutely love this card. 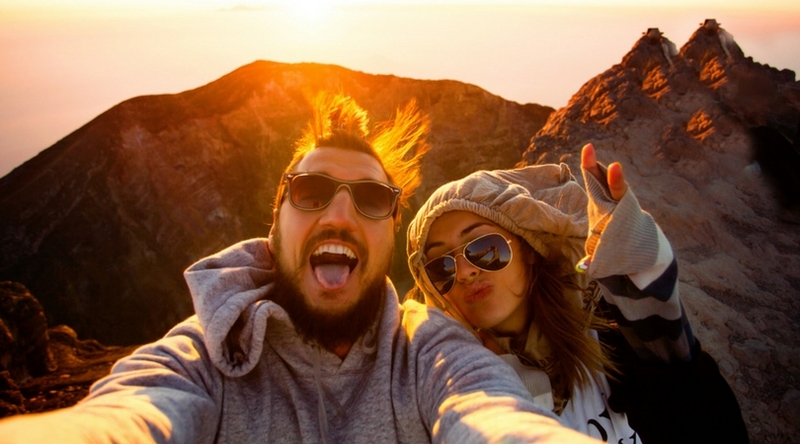 It does come with a hefty $450 annual fee, but – even if you only travel a few times a year – paying the fee may still be worth it for you. For starters, the Chase Sapphire Reserve offers a whopping 50,000 point signup bonus when you spend at least $4,000 on the card in the first 3 months. Although the original signup bonus was double where it’s at now, that’s still a ton of points. In fact, when redeemed through the Chase portal, that equals $750 in travel rewards just for enrolling and meeting minimum spending requirements. You also get an annual travel credit of $300 that renews each year on your cardmember anniversary. So, between the signup bonus and the travel credit, you’ve more than made up for the annual fee during your first year. Additionally, this card offers 3X points on travel and dining. 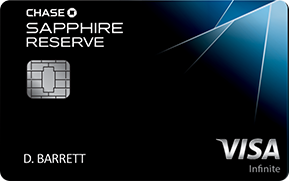 That’s a whole point more than its sister card, the Chase Sapphire Preferred. Like with other premium Chase cards, you can also transfer your points to more than a dozen loyalty programs at a 1:1 ratio. When redeemed through the Chase portal, you’ll receive 50% more value on your points than you do with other cards. So, if you earn points with one of Chase’s cash back cards and transfer them to your Chase Sapphire Reserve account, those points will stretch 50% further. Finally, the card also offers a $100 credit toward Global Entry or TSA Pre√ fees. That should take care of your entire application fee. I love using these programs, and they can save you a lot of time while going through immigration or security. Compare this card to other rewards cards here. To make the card really work for you, it’s important to take advantage of all its benefits. First off, be sure to complete the free Priority Pass™ Select membership application so you can take advantage of the program’s available airport lounges. You’ll also want to use the card’s $300 annual travel credit. You can get even more value from your card by pairing it with one of Chase’s cash back cards. The Chase Freedom Card is a great option because it provides 5% cash back on purchases each quarter in rotating categories. You can use your Freedom card to make up to $1,500 in combined purchases, transfer those points to your Sapphire Reserve account, and your points will stretch 50% further when redeemed through the Chase portal. Then, use your Sapphire Reserve to get 3X points on travel purchases and at restaurants. It’s a great way to get the best of both worlds. In fact, I keep both cards in my wallet and use them to earn points accordingly! If you don’t want to deal with rotating bonus categories, I don’t blame you. Luckily, you do have another option. 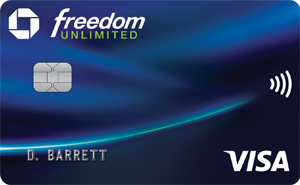 The Chase Freedom Unlimited Card offers many of the same benefits you’ll find on the Chase Freedom. However, with this card, you’ll get 3% cash back on the first $20,000 spent in the first year across all categories – that’s HUGE. After that, it’s still an impressive 1.5% cash back across all categories…and that is unlimited. Again, you can transfer those points to your Chase Sapphire Reserve account and get 50% more value when redeemed through the Chase portal. This card is a great way to get more points for your everyday spending. You can even use all three cards together to get the most value out of your purchases. Alright, let’s get to the elephant in the room. When searching for drawbacks to the Chase Sapphire Reserve Card, you don’t have to look for long before you realize there’s a $450 annual fee staring you right in the face. At first glance, this might seem like a deal breaker. Thankfully, it doesn’t have to be. Yes, $450 is pretty steep. However, if you’re a frequent traveler, the annual card benefits more than cover the fee. Remember, you’ll receive a $300 travel credit every year on your cardmember anniversary. You also have free access to Priority Pass™ lounges across the world. Throw in the Global Entry or TSA Pre√ credit, and you’ve already made up for the annual fee. Additionally, by spending $4,000 in the first 3 months you have the card, you’ll also receive a 50,000 point signup bonus. So, if you think you’ll spend enough to meet the bonus, testing out the card for at least a year generally makes sense. For me, paying the fee is more than worth it. Does it fit your travel needs? Only you can decide. Don’t think the Chase Sapphire Reserve Card is the right fit for you? You still have some other great options. The Chase Sapphire Preferred Card is a great travel card in its own right. 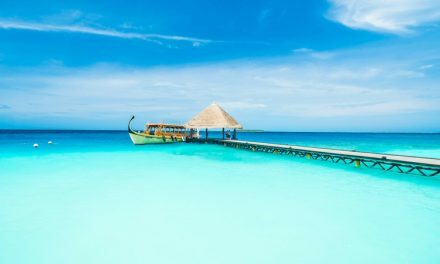 Although you’ll miss out on the credits offered by the Sapphire Reserve, this card provides a larger signup bonus (60,000 points) but with a significantly smaller annual fee of just $95. You’ll earn 2X points on travel and dining, plus 1X points on everything else. Those points can be transferred at a 1:1 ratio to the same partner loyalty programs, or you can redeem them through the Chase portal to stretch them even further. This is the first card I recommend to anybody who is new to points and miles or who is intimidated by a large annual fee. It’s also a great card for those who only travel once or twice a year. 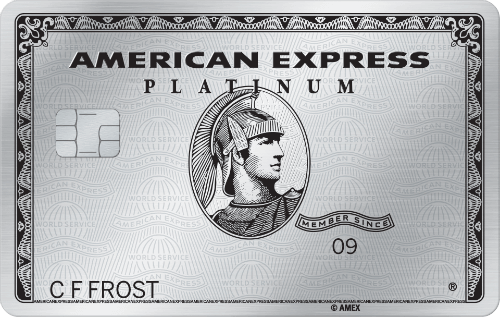 The Platinum Card from American Express is another great option for frequent travelers. This card comes with a $200 airline fee credit, a $200 credit for Uber rides, and free access to their proprietary Global Lounge Collection. Additionally, you’ll receive a welcome offer of 60,000 Membership Rewards points when you use the card for $5,000 in purchases over the first 3 months. It also comes with 5X points on airfare that is booked directly with airlines and 5X points on hotel and flights booked through their travel portal. Keep in mind, though, that the card does have a $550 annual fee. Again, this card is a great option for frequent travelers who will take advantage of all its benefits. If you travel less frequently, another card may work better for you. 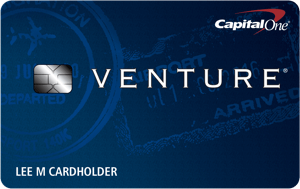 Finally, the Capital One Venture Rewards Card is another excellent option if you’re looking for a card with a lower annual fee. This card offers a 50,000 point signup bonus (worth $500 in travel) when spending $3,000 in the first 3 months. It also offers 2X miles on every purchase and a whopping 10X miles on hotels when you use the card to book through their portal. Your miles don’t expire as long as your account stays open, and the $95 annual fee is waived for the first year. If you’d rather not mess with loyalty programs and points, this is a good card to try. Just redeem your rewards as a statement credit and you’re good to go! So, is this card the best option for you? If you travel frequently, there’s a good chance it is! Offering a whole host of travel benefits, the Chase Sapphire Reserve Card is one of the most valuable cards you can carry in your wallet. The points you’ll earn are also super valuable, and this card offers a 50,000 point signup bonus when you meet the minimum spending requirements. That’s HUGE! Sure, the annual fee is pretty steep, but the card benefits generally make up for the fee in quick fashion. If you’re a frequent traveler, the Chase Sapphire Reserve Card has to be on your radar! It’s definitely a favorite of mine. I think you’ll love it too.